As well as plenty of outdoor activities, families can also look forward to a story of music, movement, recycling, re-using, puppetry and fun [at the Hawth Theatre] in play Bin Men (June 8) and Nickelodeon’s Dora the Explorer (Aug 9 – 11) embarks on a live musical adventure in the search of her lost teddy bear, Osito. NICKELODEON’s Dora the Explorer LIVE! Nickelodeon’s Dora the Explorer and her friends light up the UK in a musical song and dance spectacular! Everyone’s favourite explorer is embarking on a LIVE musical adventure. Dora has lost her teddy bear Osito, and the search is on to retrieve him! 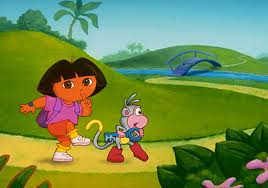 With the help of the audience, Map, Backpack, Boots, Diego and their courageous friends, Dora uses her map-reading, counting, musical and language skills to successfully pass through the number pyramid and the mixed-up jungle to reach the City of Lost Toys. Explorer Tickets (centre front stalls rows A - K): £18, child: £16 Family of four: £65. Please note: Groups and Explorer tickets are not available online. Nickelodeon UK has announced on their brand new official "How to Rock" show website that Nickelodeon UK and Ireland and Nickelodeon HD UK will start to premiere and show Nickelodeon's brand new live-action comedy series "How to Rock" from Monday 20th May 2013 at 5:00pm (repeated at 6.00pm on Nick UK's plus-one (+1) timeshift channel, Nick+1), as part of May on Nickelodeon UK 2013! 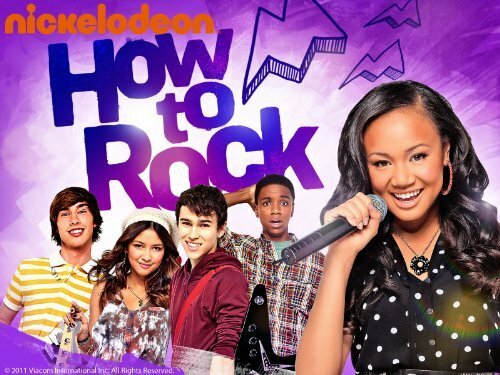 Nick UK will also show reruns of "How to Rock" weekend mornings at 11.30am (12.30pm on Nickelodeon+1). Tuesday 21st May 2013 - "How to Rock a Lunch Table"
Wednesday May 22nd - "How to Rock a Secret Agent"
Thursday 23rd May 2013 - "How to Rock a Music Video"
Friday 24th May 2013 - "How to Rock a Messy BET"
Monday 27th May 2013 - "How to Rock a Guest List"
Tuesday 28th May 2013 - "How to Rock a Statue"
Wednesday 29th May 2013 - "How to Rock a Prank"
Thursday 30th May 2013 - "How to Rock a Part-Time Job"
Friday 31st May 2013 - "How to Rock a Birthday Party"
Monday 3rd June 2013 - "How to Rock a Newscast"
Tuesday 4th June 2013 - "How to Rock a Basketball Team"
Wednesday 5th June 2013 - "How to Rock an Election"
Thursday 6th June 2013 - "How to Rock a Love Song"
Friday 7th June 2013 - "How to Rock a Uniform"
Monday 10th June 2013 - "How to Rock a Yearbook"
Tuesday 11th June 2013 - "How to Rock a School Sensation"
Wednesday 12th June 2013 - "How to Rock a Good Deed"
Thursday 13th June 2013 - "How to Rock Camping"
Monday 17th June 2013 - "How to Rock a Fashion Victim"
Nickelodeon Productions made 25 episodes of "How to Rock" in total. It is currently unannounced which episode Nick UK will premiere on Friday 14th June 2013, however, as there is a blank spot in the TV guide between 5.00pm to 6.30pm, it is believed that it could be the one-hour special episode "How to Rock Cee Lo", which guest stars the American singer-songwriter, rapper, record producer, and actor Cee Lo Green, and an currently unannounced special or premiere. It is also believed that Nick UK may also premiere the series finale episode of H2R called "How to Rock Christmas" during Nick UK's Christmas on Nickelodeon UK 2013 celebrations in December 2013. To celebrate Nick's brand new musical sitcom, Nickelodeon UK's all-new "How to Rock" website, nick.co.uk/shows/howtorock, features online short streaming video clips featuring scenes from the new show, a 'Meet The Characters' section featuring character bios and information about each talented character and Nickelodeon star in "How to Rock" - Kacey Simon (Cymphonique Miller), Zander Robbins (Max Schneider), Kevin Reed (Christopher O'Neal), Stevie Baskara (Lulu Antariksa), Nelson Baxter (Noah Crawford), collectively known as the pop/hip-hop band Gravity 5, and Grace King (Halston Sage) and Molly Garfunkel (Samantha Boscarino), aka The Perfs - and a photograph gallery featuring pictures and stills from "How to Rock". Nickelodeon's brand new live-action comedy show "How to Rock" follows Kacey Simon (Cymphonique Miller), a popular girl who was once mean, and whose status goes down after she must briefly wear braces and glasses. Ignored by her fellow mean girls, Kacey finds a new way to express herself through music by becoming the lead singer of the pop/hip-hop band Gravity 4 with Stevie Baskara (Lulu Antariksa), Zander Robbins (Max Schneider), Nelson Baxter (Noah Crawford), and Kevin Reed (Christopher O'Neal). The success of the band, now renamed Gravity 5, begins a rivalry with Kacey's former group The Perfs, a rival band featuring her former friends, and now archrivals Molly Garfunkel (Samantha Boscarino) and Grace King (Halston Sage). The American record label Columbia Records has announced the exciting Nickelodeon / Big Time Rush news in the following Press Release, from PRNewswire, that Columbia Records recording artists and Nickelodeon TV stars Big Time Rush will release their highly anticipated third studio album, 24/seven, on Tuesday 11th June 2013! The album is available for pre-order today [www.smarturlit.com/24seven] in deluxe and standard versions, and all iTunes pre-orders include an instant digital download of the track "Like Nobody's Around." In addition to "Like Nobody's Around," whose companion video has already garnered over 1.3 million views on YouTube, 24/seven will also include brand new music from the upcoming fourth season of the hit Nickelodeon show (see below for track listings). The album features production by top music hit makers including Claude Kelly (Britney Spears, Bruno Mars), The Suspex (Demi Lovato), Matt Squire (Selena Gomez, One Direction), Matt Thiessen (Plain White T's, Carly Rae Jepsen) and Chris DeStefano (Kelly Clarkson, Carrie Underwood), with a majority of the tracks written by Big Time Rush. "The four of us have written most of the songs on the album and really focused on making music that everyone could listen to and enjoy. 24/seven shows a level of growth and maturity while still keeping the fun carefree essence BTR started with," said band member Logan Henderson. "Our fans and hard work are completely responsible for this album, and even further this band. Can't wait for you all to hear it," added Kendall Schmidt. Big Time Rush will herald the album's release with their recently announced "Summer Break Tour." The nationwide tour, which will also feature Victoria Justice, kicks off on June 21 at the famed Gibson Amphitheatre in Los Angeles. Fans will get to see both artists' electrifying performances in over 38 cities across the U.S., including stops in New York, Chicago and Dallas. For more information on the tour, please visit www.SummerBreakTour.com. NEW YORK, April 30, 2013 /PRNewswire/ -- Columbia Records recording artists and Nickelodeon TV stars Big Time Rush are set to release their highly anticipated third album, 24/seven, on June 11. The album is available for pre-order today [www.smarturlit.com/24seven] in deluxe and standard configurations, and all iTunes pre-orders include an instant digital download of the track "Like Nobody's Around." In addition to "Like Nobody's Around," whose companion video has already garnered over 1.3 million views on YouTube, 24/seven will also include brand new music from the upcoming fourth season of the hit Nickelodeon show (see below for track listings). The album features production by top music hit makers including Claude Kelly (Britney Spears, Bruno Mars), The Suspex (Demi Lovato), Matt Squire (Selena Gomez, One Direction), Matt Thiessen (Plain White T's, Carly Rae Jepsen) and Chris DeStefano (Kelly Clarkson, Carrie Underwood), with a majority of the tracks written by Big Time Rush. (Photo: http://photos.prnewswire.com/prnh/20130430/NY04493 (PRNewsFoto/Columbia Records))"The four of us have written most of the songs on the album and really focused on making music that everyone could listen to and enjoy. 24/seven shows a level of growth and maturity while still keeping the fun carefree essence BTR started with," said band member Logan Henderson . "Our fans and hard work are completely responsible for this album, and even further this band. Can't wait for you all to hear it," added Kendall Schmidt. Big Time Rush will herald the album's release with their recently announced "Summer Break Tour." The nationwide tour, which will also feature Victoria Justice , kicks off on June 21 at the famed Gibson Amphitheatre in Los Angeles. Fans will get to see both artists' electrifying performances in over 38 cities across the U.S., including stops in New York, Chicago and Dallas. For more information on the tour, please visit www.SummerBreakTour.com. Nickelodeon's hit live-action comedy series Big Time Rush kicks off season four on Thursday, May 2, at 8 p.m. (ET/PT). Created by Scott Fellows (Ned's Declassified School Survival Guide) and produced in partnership with Sony Music, this season finds best friends Kendall, James, Carlos and Logan recording music for their third studio album and preparing for the launch of their next world tour. The guys quickly discover that the music landscape has become more competitive and the pressure to stay relevant proves tougher than ever. Big Time Rush airs regularly Thursdays at 8 p.m. (ET/PT) on Nickelodeon. Sony Music Entertainment is a global recorded music company with a current roster that includes a broad array of both local artists and international superstars. The company boasts a vast catalog that comprises some of the most important recordings in history. It is home to premier record labels representing music from every genre, including Arista Nashville, Beach Street Records, Bystorm Entertainment, Columbia Nashville, Columbia Records, Day 1, Epic Records, Essential Records, Flicker Records, Kemosabe Records, Legacy Recordings, MASTERWORKS, Polo Grounds, RCA Inspiration, RCA Nashville, RCA Records, Reunion Records, Roc Nation, Sony Classical, Sony Music Latin, Star Time International, Syco Music, Vested in Culture and Volcano. Sony Music Entertainment is a wholly owned subsidiary of Sony Corporation of America. Nickelodeon, now in its 34th year, is the number-one entertainment brand for kids. It has built a diverse, global business by putting kids first in everything it does. The company includes television programming and production in the United States and around the world, plus consumer products, online, recreation, books and feature films. Nickelodeon's U.S. television network is seen in almost 100 million households and has been the number-one-rated basic cable network for 18 consecutive years. For more information or artwork, visit http://www.nickpress.com. Nickelodeon and all related titles, characters and logos are trademarks of Viacom Inc. (NASDAQ: VIA, VIA.B). Follow NickALive! on Twitter, Tumblr, Google+, and/or Facebook for the latest Nickelodeon and Big Time Rush News! More of Nickelodeon UK's May 2013 schedule highlights and upcoming events will be posted in this NickALive! Nickelodeon UK blog post when they are announced. Latest Nickelodeon UK schedule news and updates will be posted in each Nick channels category in this blog post. Keep your TV tuned to Nick this May as Nick, Nicktoons and Nick Junior has more brand new shows and all-new episodes of your favourite Nickelodeon shows this month, including a brand new episode of "SpongeBob SquarePants", 5 all-new episodes of "Victorious", the brand new show "How to Rock", and the all-new "House of Anubis" Season 3, "The Reawakening", continues! Plus, the countdown to Nickelodeon UK's 20th Birthday on Sunday 1st September 2013 continues! New SpongeBob SquarePants: Nickelodeon UK's animation channel, Nicktoons UK and Ireland, has announced in their brand new trailer/promo (transcript below) that Nicktoons will be premiering and showing brand new, never-before-seen-in-the-UK, fresh from the fryer episodes of Nickelodeon's mega-hit original animated series (Nicktoon) "SpongeBob SquarePants", including the new episode segments "Are You Happy Now?" and "Planet of The Jellyfish", every Friday at 4.30pm throughout May 2013, starting from Friday 10th May 2013! New "A Bedtime Story": Nick Jr. UK and Ireland has announced the channel will premiere and show a brand new episode of Nick Junior's popular Bedtime stories series "A Bedtime Story" that will guest star Gemma Naylor from Nick Jr. UK's very own "The Go!Go!Go! Show" on Friday 24th May 2013 (TONIGHT!) at 6.30pm (repeated at 7.45pm on Nick Jnr., and at 7.30pm and 8.45pm on Nick Jr. UK's plus-one (+1) timeshift channel, Nick Jr.+1), as part of Nick Jr. Channel UK's nightly 'Bedtime' programming strand (block)! Nick Jr.'s brand new "A Bedtime Story" episode will feature Gemma Naylor reading the children's tale "A Secret Club" with Nick Junior UK's puppet presenters Arnie and Barnie (The Wiggly Worms; "The Wiggle Song") for Nick Jr. viewers and fans. New N-View: The online British and Irish TV guide website Digiguide, via NickUKHub, is reporting the exciting Nick U.K. news that Nickelodeon UK will premiere and show the latest brand new episode of Nickelodeon International's children's entertainment magazine television series "N-View" on Nickelodeon UK and Ireland and Nickelodeon HD UK on Saturday 18th May 2013 at 6.30am (repeated at 7.30am on Nick UK's plus one (+1) timeshift channel Nickelodeon +1), with Nickelodeon UK airing an encore on Sunday 19th May 2013 at 1.00pm (replayed at 2.00pm on Nick +1), as part of "May on Nickelodeon UK 2013"! Nickelodeon UK and Ireland presenter Anna Williamson, who presents the UK version of Nick Worldwide's "N-View", revealed that the next all-new episode of "N-View" will feature epic news, information and exclusives about the Nickelodeon 2013 Kids' Choice Awards (Nickelodeon's 26th Annual Kids' Choice Awards), Nickelodeon Star Lucas Cruickshank ("Marvin Marvin", "Fred: The Show"), the latest movies, and much more! UPDATE - Episode 8 of N-View also featured a sneak peek of the brand new Nickelodeon comedy series "Sam & Cat", which Nick UK will start to show later this year (2013). "SpongeBob SquarePants" On The Road: Nickelodeon UK has announced that Nickelodeon UK's animation channel, Nicktoons UK and Ireland, will premiere and show the brand new special episode of Nick's hit original animated series (Nicktoon) "SpongeBob SquarePants" called "Hello Bikini Bottom! ", also known as "SpongeBob on Tour", on Friday 24th May 2013 at 4.30pm, as part of a whole month of "SpongeBob SquarePants" premieres! New "Kung Fu Panda: Legends": Nickelodeon UK has announced the Nicktoons UK News in Nicktoons' schedule area in the "What's On" section of the official Nickelodeon UK website, nick.co.uk, and in a new promo/trail that Nickelodeon UK's animation channel, Nicktoons UK and Ireland, will premiere and show the brand new one-hour "Kung Fu Panda: Legends of Awesomeness" special episode called "Enter the Dragon", in two parts, on Saturday 18th May 2013 at 9.00am and 9.30am! Nicktoons UK will then repeat both parts of "Enter the Dragon" later the same day from 6pm. New Winx Club: Nickelodeon UK and Ireland and Nickelodeon HD UK will be premiering and showing more brand new episodes of Nickelodeon's brand new fifth season of "Winx Club", called "Beyond Believix", weekends at 7.30am (starting Saturday 4th May 2013; repeated at 8.30am on Nick UK's +1 (plus-one) timeshift channel, Nickelodeon +1) throughout May 2013! As part of Nick UK's "Winx Club Weekends" will be the all-new "Winx Club" episodes called "The Pillar of Light", "The Eclipse" and "Far Away Reflections"! To celebrate, Nickelodeon UK & Eire's official "Winx Club" show website has unveiled a selection of brand new and exclusive online streaming video clips from the all-new "Winx Club" episodes, which you can watch here on nick.co.uk/winx! New Show - How to Rock: Nickelodeon UK and Ireland and Nickelodeon HD UK will start to premiere and show Nickelodeon's brand new live-action comedy series "How to Rock" in May 2013! UPDATE - Nickelodeon UK has announced on their brand new official "How to Rock" show website that Nickelodeon UK and Ireland and Nickelodeon HD UK will start to premiere and show Nickelodeon's brand new live-action comedy series "How to Rock" from Monday 20th May 2013 at 5:00pm (repeated at 6.00pm on Nick UK's plus-one (+1) timeshift channel, Nick+1), as part of May on Nickelodeon UK 2013! Nick UK will also show reruns of "How to Rock" weekend mornings at 11.30am (12.30pm on Nickelodeon+1). New Episodes - VICTORiOUS: Nickelodeon UK and Ireland and Nickelodeon HD UK will premiere and show 5 brand new episodes of the popular Nickelodeon original comedy series "Victorious" daily over 5 epic weekdays at 5.30pm (repeated at 6.30pm on Nick UK's plus-one (+1) timeshift channel, Nick+1), which will feature the biggest "Victorious" moment ever, as part of a special "Victorious Premiere Week" programming stunt! New episodes of Victorious include "Opposite Date", "Cell Block" and "Three Girls and a Moose". May Day on Nick UK: To celebrate the 2013 May Day Bank Holiday, also known as Early May Bank Holiday 2013, on Monday 6th May 2013, Nickelodeon UK and Ireland and Nickelodeon HD UK will be hosting a special "Victorious" May Day Marathon which will be feature all of your favourite episodes of "Victorious" all day back-to-back! New Episodes - Teenage Mutant Ninja Turtles: Nickelodeon UK and Eire and Nickelodeon HD UK will start to premiere and show more brand new episodes of Nick's brand new CGI-animated "Teenage Mutant Ninja Turtles" television series Saturday's at 9.30am (repeated at 10.30am on Nick UK's +1 (plus-one) timeshift channel, Nickelodeon +1) from Saturday 11th May 2013! New Show - The Legend of Korra: Nickelodeon UK and Ireland and Nickelodeon HD UK will start to premiere and show Nickelodeon's brand new original animated series (Nicktoon) "Legend of Korra" from Sunday, 7th July 2013! New Tickety Toc On Nick Jr. UK! : Tickety Toc UK, the official Twitter profile page (@TicketyTocUK) for "Tickety Toc" on Nick Jr UK & Channel 5's Milkshake!, has announced in a series of Tweets, below, that Nickelodeon UK and Ireland's preschool channel, Nick Jr. UK and Ireland, will premiere and show brand new episodes of Nick Juniors' popular animated preschool television series "Tickety Toc" everyday at 8.00am and 4.00pm (starting on Bank Holiday Monday 6th May 2013; repeated at 9.00am and 5.00pm on Nick Jr. UK's plus-one (+1) timeshift channel, Nick Jr.+1)! "Tick Toc. Tick Toc. I am the clock" - Marc Cram (Biagio Messina) in the "Kenan & Kel" episode "Poem Sweet Poem"
URGENT UPDATE - Nick UK has made a late schedule change, and has confirmed to NickALive! that Nickelodeon UK and Ireland Nickelodeon HD UK will start to premiere and show Nickelodeon's brand new original animated series (Nicktoon) "Legend of Korra" from Sunday, 7th July 2013 at 9:00am (repeated at 10.00am on Nick+1). New episodes of "The Legend of Korra" will continue to premiere each Sunday at 9:00am. Click here for full information. The Legend of Korra takes place 70 years after the events of Avatar: The Last Airbender and follows the next Avatar after Aang a girl named Korra who is from the Southern Water Tribe. 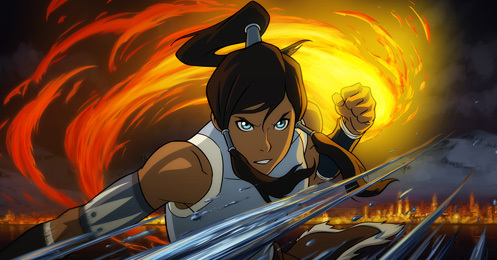 With three of the four elements under her belt (Earth, Water and Fire), Korra seeks to master Air. Her quest leads her to Republic City, the modern "Avatar" world that is a virtual melting pot where benders and non-benders from all nations live and thrive. Korra quickly discovers that the metropolis is plagued by crime as well as a growing anti-bending revolution that threatens to rip the city apart. Under the tutelage of Aangs son, Tenzin, Korra begins her airbending training while dealing with the dangers at large. Follow NickALive! on Twitter, Tumblr, Google+, and/or Facebook for the latest Nickelodeon UK and Legend of Korra News! During Cambio's recent live video questions and answers couch session with the guys, Logan Henderson, James Maslow, Kendall Schmidt and Carlos Pena, Jr. told the entertainment news website they thought long and hard about what they wanted as the image for the album cover. The front cover art for Big Time Rush's "24/seven" album shows the guys in casual poses hanging out in front of a convenience store being, well, normal guys! It's straightforward and represents each member of Nick's BTR outside of their crazy work schedules. With Logan on the skateboard, Kendall with his slurpee, Carlos holding a toy helicopter control and James just hanging out, they prove that they are just four guys who like to have a good time, all the time! "24/seven" will feature the Big Time Rush song "Like Nobody's Around," as well as brand-new music which will appear on the upcoming season of the show. The band will perform tracks from "24/seven" when they hit the road on their "Summer Break Tour" with Nickelodeon Star Victoria Justice. The tour kicks off June 21 in Los Angeles and will stop in over 38 cities across the U.S. For more information on the tour, please visit www.SummerBreakTour.com. What do you think of the album art? Let NickALive! know on Twitter, Tumblr, Google+, and/or Facebook! Rushers, we're so excited to premiere the cover art for Big Time Rush's new album, 24/Seven (due in June), with all of you! During our recent live video Q&A couch sesh with the guys, Logan Henderson, James Maslow, Kendall Schmidt and Carlos Pena, Jr. told us they thought long and hard about what they wanted as the image for the album cover. And we love that they chose something everyone could relate to. They kept it casual by hanging out in front of a convenience store being, well, normal guys! It's straightforward and represents BTR outside of their crazy work schedules. With Logan on the skateboard, Kendall with his slurpee, Carlos holding a toy helicopter control and James just hanging out, they prove that they are just four guys who like to have a good time, all the time. What do you think of the album art? Also, don't forget that season 4 of Big Time Rush starts on May 2 on Nickelodeon! Our Fave Big Time Rush Twitpics! Kabillion Partners With Saban Brands To Launch New Vortexx-Branded VOD Channel; Shows To Include "Power Rangers Lost Galaxy" And "Dragon Ball Z Kai"
Kidscreen's children's digital entertainment and media news column iKids is reporting the children's TV news in the following article that, after beefing up its YouTube strategy earlier this month (April 2013), the on-demand kids network Kabillion is partnering with Saban Brands to launch a brand new Vortexx-branded VOD channel that will co-exist with the eight-month-old Vortexx TV block and online hub. Saban's boy-skewing Vortexx block, which launched in August 2012, currently airs in the US on Saturday mornings from 7 a.m. to noon on The CW broadcast network, and is also accessible at MyVortexx.com. 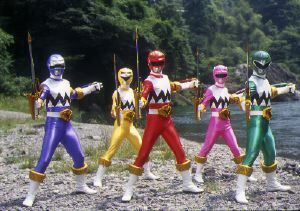 "Power Rangers Lost Galaxy", the seventh season of the Power Rangers franchise which is based on the Japanese "Super Sentai" television series "Seijuu Sentai Gingaman" that originally aired in 1999, and "Sonic X", a Japanese anime series based on the "Sonic the Hedgehog" video game series, will both debut in June 2013 on Kabillion's Vortexx VOD channel and "Dragon Ball Z Kai", which currently airs on Nicktoons USA, will join in July 2013. Additional programming block announcements are expected to follow suit. After beefing up its YouTube strategy earlier this month, on-demand kids network Kabillion is partnering with Saban Brands to launch a new Vortexx-branded VOD channel that will co-exist with the eight-month-old Vortexx TV block and online hub. Saban’s boy-skewing Vortexx block, which launched last August, currently airs in the US on Saturday mornings from 7 a.m. to noon on The CW broadcast network. It is also accessible at MyVortexx.com. Power Rangers Lost Galaxy and Sonic X will both debut in June on Kabillion’s Vortexx VOD channel and Dragon Ball Z Kai will join in July. Additional programming block announcements will follow suit. The Vortexx TV programming block currently airs in 115 million homes. Its new on-demand affiliate will benefit from Kabillion’s reach of 40 million US households. Nickelodeon UK have announced on their official "Nickelodeon Fruit Shoot Skills Awards" website the very exciting Nick UK news that, following the success of the 2012 awards, the Nickelodeon have teamed up with Robinsons Fruit Shoot, a British soft drink brand owned by Britvic, for the Nickelodeon Fruit Shoot Skills Awards 2013! And this year they're bigger than ever! Nickelodeon's Fruit Shoot Skills Awards 2013 recognise and celebrate talented young people from across the UK with serious skills. From Breakdancing and Skateboarding to BMXing and Soccer Freestyling – all active skills are included, and this summer, the Fruit Shoot Skills Crew will be touring the country, showing you how you can learn new skills and get active. And not only that, but this year YOU could be nominated for a coveted Skills Award! The 2013 Nickelodeon Fruit Shoot Skills Awards ceremony will take place on Saturday 7th September 2013, and tickets will become available from late July 2013! You can find full information about the 2013 Nickelodeon Fruit Shoot Skills Awards here on the official awards website, fruitshoot.nick.co.uk (also nick.co.uk/fruitshootskills)! As well as the Nickelodeon Fruit Shoot Skills Awards 2013, this summer, the Fruit Shoot Skills Crew - N.C. Flex, L.A. Trucks, Connor Boost, Matti Axel, Roxy Flo, Drew Hoops, and Laura Kicks - are heading to a city near you, on their countrywide tour! You can meet the crew, watch them perform their amazing skills, watch tutorials with your favourite members, and even have one-to-one coaching with them as they share some of their awesome skills too! Nickelodeon will also be there, with their world famous cameras, to capture your skills performances ready to upload and be featured in the Fruit Shoot Skills Zone! All videos also have the chance of being shortlisted for the Fruit Shoot Breakthrough Award at this year's Skills Awards! Come down to any of the free events venues on the dates mentioned below. Get active, get involved, and show Nickelodeon your skills! Nick can’t wait to meet you. It's time to Get your Skills On! N.C. FLex is the Daddy of the Crew – and he’s all about bringing the noise – whether he is making it himself or getting down to some heavy beats! N.C. FLex’s skills in Street Dance and Percussion make him a heavy hitter when it comes to giving the Crew the heartbeat they need to get up, and get the crowds pumping! N.C. FLex makes sure the Crew stay as tight as possible, and deliver the business every time! L.A. Trucks is the UK number 1 female Skateboarder and is a serious female force to be reckoned with when she is riding! L.A. Trucks has been getting on her board, and getting gnarly since she was young, and ever since guys told her ‘Girls can’t skate!’ she has worked hard to prove them wrong! She surfs curbs and hammers half-pipes like she was born on a board and the best thing about it all – she helps other girls who love skating to believe that anything is possible, even if it is a male dominated sport. L.A. Trucks will bring Spirit and Resilience to the Crew – and knows that whenever times are getting tough and you feel you’ve given all you’ve got, then you’ve just got to get back on the board and enjoy the ride! Connor is the Power House of the Crew! As an Urban Gymnast, Boost combines his incredible acrobatics and free running skills to navigate his environment in the most creative, exciting and adrenalin-fuelled way possible! There’s no such thing as a stroll down the road for Connor – every We see the street we walk down quite differently to Connor – he see’s them as a gauntlet of endless possibilities, and he enjoys every step of the journey! Connor will bring Nerves of Steel and Identity to the crew – with free running built on self-expression, he wants to make sure anyone trying any skill makes sure they do it the way they want to – and has an amazing time doing it! Matti is a Flatland BMXer who takes riding to a whole new dimension! Flatlanding – the ‘Break Dance’ of BMX – is all about pushing the boundaries of what’s possible on two wheels (and often, just one wheel!) and Matti is the Master! He uses his bike to create movements you’d never expect, with balance, fluidity and gravity-defying skill! And whether he is riding solo or rolling with a crew, he knows that everywhere is a skate park, and no ride is ever the same! Matti Axel will bring Originality and Out-the-box thinking to the crew – after all, he is proof that if you push the boundaries of creativity – the rewards are spectacular! Roxy Flo is one of the top Break Dancers on the planet, and is known for her incredible freezes, effortless power and gymnastic flexibility in making the music come alive! Roxy loves ripping up the stage with a crew, but is always ready to step into the spotlight and own the stage solo-style. Oh, and one more thing… Roxy is the Guinness World Record holder for most Head spins in 1 minute, 71 rotations to be exact! There is no doubt that Roxy is bringing pure Swagger to the Crew – so wherever they are, they know they can count on Roxy to catch the beat and bring the noise! Drew Hoops isn't just a Basketball Freestyler, he is THE Basketball Freestyler – and to put it lightly, there’s nothing this guy can’t do with a ball, or two, or three! Drew’s lightning fast fingers and mind-blowing ball handling skills set him apart from most players around. Whether he’s spinning, dribbling or dunking his way across the court, it’s obvious this baller has serious bounce! Off the court, he is a gentleman, but on the court it’s a different story – and when he has a ball in his hand, and a defender in his way, one of them is leaving embarrassed… and it’s not Drew! Drew Hoops will be bringing the Flair and Cheekiness to the Crew – if they need a boost he will be there to pick them up and get them bouncing again! Laura Kicks is one of the most renowned Football Freestylers in the world, and it’s obvious why! Her ball skills wow the crowds and it’s true what they say about keeping your eye on the ball, because when Laura’s around you never know what might happen! But one thing is pretty much certain, that ball won’t touch the ground! Laura is a winner – through and through – and she knows exactly what it takes when the pressure is on and you need to make it count, so Laura is bringing Style and Focus to the crew – after all, when things are getting hectic – you’ve got to keep the goal in your sights! To celebrate the return of the Nick Fruit Shoot Skills Awards, Nickelodeon and Robinsons Fruit Shoot have announced that they will unveil a exclusive competition on Saturday 25th May 2013 where Nickelodeon fans and viewers can win 100s great skills gear prizes, including £200 Skatehut vouchers, every hour! Behind The Scenes Video Of Nickelodeon's Upcoming Original TV Movie, "Nicky Deuce"
To celebrate and promote Nickelodeon, R&R Productions and MarVista Entertainment's upcoming original kids TV movie "Nicky Deuce", which Nick USA will premiere and show on Monday 27th May 2013 at 8pm (ET/PT; 7c), as part of Nickelodeon USA's nighttime programming block, Nick at Nite (stylized as nick@nite), Nick, R&R and MarVista have released a brand new online streaming video which visits the set and goes behind-the-scenes of the making of the new Nick TV film, "Nicky Deuce", on the movies' official YouTube channel, nickydeucemovie, which you can watch below! Join stars Noah Munck, Rita Moreno, Steve Schirripa, Cristine Prosperi, Cassius Crieghtney, Tony Sirico, Vincent Curatola and James Gandolfini on the set of the new movie Nicky Deuce. Starring Noah Munck as Nicholas Borelli II. 19 Days of Production in Montreal, Canada, recreated as Brooklyn, NY. Also starring Rita Moreno, Cristine Prosperi, Steve Schirripa, Cassius Crieghtney. Directed by Jon Rosenbaum, with Tony Sirico and Vincent Curatola with Michael Imperioli. and a special appearance by James Gandolfini. Premieres Monday, May 27th 8/7c on Nickelodeon. The upcoming brand new Nickelodeon Original Television Movie "Nicky Deuce", based on a popular children's book by The Sopranos' Steve Schirripa and Charles Fleming, stars iCarly's Noah Munck ("Gibby") as Nicholas Borelli II, a nerdy, over-protected teen who transforms into the title character. Nicholas gets caught in the adventure of a lifetime when his plans to attend math camp go awry and he is sent to spend the summer with an uncle (played by Schirripa) he never knew he had in Brooklyn, New York. A fish out of water at first, Nicholas leans on local kids to help him fit in and winds up mistakenly earning a reputation as a tough guy. When confronted with some questionable dealings, Nicky uncovers family secrets and learns that the mean streets of Brooklyn aren't always what they seem. In addition to Noah Munck, Cristine Prosperi and Steve Schirripa, "Nicky Deuce" will also star actors Michael Imperioli, Vincent Curatola and Tony Sirico from the popular American television drama "The Sopranos", actor Cassius Crieghtney ("Degrassi: The Next Generation"), and actress Rita Moreno ("Where on Earth Is Carmen Sandiego?"). The licensing business news website Licensing.biz is reporting the Nickelodeon International News that Viacom International Media Networks (VIMN) has announced they have made a raft of new broadcast deals with major French broadcasters across its pre-school (Nick Jr.), kids (Nickelodeon) and adult (MTV) portfolio at MIPTV 2013. France's most important national commercial broadcaster - TF1 - acquired the broadcast rights to a selection of new episodes of the Nickelodeon original animated series (Nicktoon) "SpongeBob SquarePants", the Spongebob Christmas stop-frame special, "It's A SpongeBob Christmas! 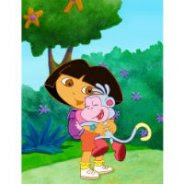 ", and season seven of Nickelodeon Preschool Animation's "Dora the Explorer". The broadcaster has also signed for ten episodes of "Kung Fu Panda: Legends of Awesomeness" ("Kung Fu Panda: l’incroyable légende") season two, plus a renewal of the "Go, Diego, Go!" television special "Great Dinosaur Rescue". France TV, meanwhile, has picked up the first season of Nickelodeon's brand new CGI-animated "Teenage Mutant Ninja Turtles" TV series, season two of Nick Preschool's "Bubble Guppies" and a number of new episodes of the classic Nicktoon "Wild Thornberrys" for its satellite channel France 0. Firms comes back from MIP with a raft of new agreements. Viacom International Media Networks has confirmed a swathe of new deals with major French broadcasters across its pre-school, kids and adult portfolio. A raft of licences with France's most important national commercial broadcaster - TF1 - includes Nickelodeon evergreen Spongebob Squarepants. There will be a selection of new episodes as well as the Spongebob Christmas stop-frame special. Season seven of Dora the Explorer is also included in the deal. The broadcaster has also signed for ten episodes of Kung Fu Panda season two, plus a renewal of Go Diego Go Great Dinosaur Race special. France TV, meanwhile, has picked up the first season of Teenage Mutant Ninja Turtles, season two of Bubble Guppies and a number of new episodes of Wild Thornberrys for its satellite channel France 0. Finally, two major French media groups have signed Nickelodeon and MTV series for digital terrestrial channels. Lagardere has snapped up episodes 101 to 125 of iCarly season one and episodes 201 to 219 from season two for children's channel, Gulli. Meanwhile, the Canal+ Group has signed all episodes of MTV's Pimp My Ride for digital station D17. Would you like to see a "iCarly" reunion episode? Which Nickelodeon show would you like to see have a reunion? Let NickALive! know on Twitter, Tumblr, Google+, and/or Facebook! To celebrate Nickelodeon USA, also known as Nick, starting to premiere and show the networks brand new live-action original comedy series "Sam & Cat" in June 2013, the (geo-locked) official Nickelodeon USA website, Nick.com, has unveiled and launched their brand new official "Sam & Cat" show website to accompany Nick's all-new sitcom, which visitors located within North America can watch here at nick.com/samandcat (and www.nick.com/shows/sam-and-cat)! 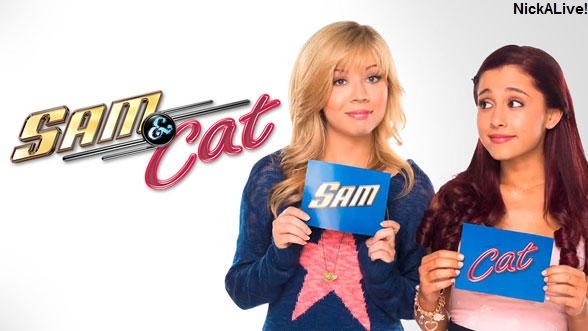 Nick USA's brand new "Sam and Cat" website features a 'Meet The Characters' section featuring character bios and information about each of the main characters in "Sam & Cat" - Sam Puckett (Jennette McCurdy), Cat Valentine (Ariana Grande), their next door neighbor Dice (Cameron Ocasio; Dice's profile currently features Nick.com's website area design for their upcoming original TV movie, "Nicky Deuce"), and Cat's cheerful and caring grandmother with a wild side, Nona (Maree Cheatham) - show information about Sam & Cat, online short streaming video clips, including videos featuring a sneak peek of "Sam & Cat", scenes of Sam Puckett and Cat Valentine on "iCarly" and "Victorious", a digital short featuring a Chocolate or Vanilla? "This or That" quiz with Nick Star Ariana Grande, and a video called "Jennette Rocks Around the Clock", plus a "Sam & Cat" message board (forum) for fans to talk about Nick's brand new comedy show "Sam & Cat"! Zodiak Kids Names New US Master Publishing And Apparel Partners For Nick Jr.'s Preschool Series "Tickety Toc"
The children's entertainment and media news website Kidscreen is reporting the Nick Jr. News that the global book publishing company Scholastic ("Animorphs", "The Magic School Bus", "Wishbone", "Goosebumps") has been named the North American master publishing partner for Zodiak Kids' preschool series "Tickety Toc", which airs on Nick Jr. in the US and on Disney Junior in Canada. The deal was brokered by the brand's US licensing agent, Established Brands, and Canadian licensing agent Studio Licensing on behalf of Zodiak Rights. The publishing range will include storybooks, board books and story-based sticker books, as well as novelty and eBooks. Products will be available in North America starting next spring (2014) across all channels of distribution. The books will also be preceded by the fall 2013 launch of a Tickety Toc consumer products led by master toy partner Just Play and home entertainment partner Anchor Bay Entertainment. Scholastic has been named North American master publishing partner for Zodiak Kids’ preschool series Tickety Toc, which airs on Nick Jr. in the US and on Disney Junior in Canada. The publishing range will include storybooks, board books and story-based sticker books, as well as novelty and eBooks. Products will be available in North America starting next spring across all channels of distribution. The deal was brokered by the brand’s US licensing agent, Established Brands, and Canadian licensing agent Studio Licensing on behalf of Zodiak Rights, and it follows recent North American licensing deals in areas of apparel, décor and games [see article below]. The books will also be preceded by the fall 2013 launch of a Tickety Toc consumer products led by master toy partner Just Play and home entertainment partner Anchor Bay Entertainment. Tickety Toc debuted on Nick Jr. US in October 2012 and has since been the number-one preschool show in its time period. Zodiak Kids preschool series Tickety Toc, which airs on Nick Jr. stateside, is building its US licensing program with the appointment of new partners, including Bentex Group as master apparel partner. Bentex Group will create a range of apparel for preschool boys and girls that includes t-shirts, sets, separates, dresses, fashion tops, outerwear and swim. Apparel will launch in the Fall at mass, mid-tier and online channels. US consumer products will also launch in this Fall led by previously announced master toy partner Just Play and home entertainment partner Anchor Bay Entertainment. Other US deals recently brokered by Established Brands on behalf of Zodiak were made with Fast Forward (backpacks, handbags, totes, luggage and lunch kits), Royal Accessories (hair accessories, costume jewelry, novelty footwear), Franco Manufacturing (juvenile bedding, bath and beach), Baby Boom (toddler bedding and room décor), and MEGA Brands for both US and Canada (puzzles, including wood, floor, shape and app-tivated puzzles). Tickety Toc, which debuted on Nick Jr. in October 2012, is a CGI-animated series that follows comedic adventures of twins Tommy and Tallulah and their friends as they race against time to keep the clock ticking. Win Martial Arts Classes For A Year And Train Like A Teenage Mutant Ninja Turtle With Nickelodeon UK And Sainsbury's! To celebrate Nickelodeon And Viacom Consumer Products UK and Paramount Home Entertainment releasing Nickelodeon Home Entertainment and Paramount Home Media Distribution's first brand new "Teenage Mutant Ninja Turtles" DVD, called "Teenage Mutant Ninja Turtles: Rise of the Turtles", in the UK and Ireland (Region 2/PAL format), Nick UK have teamed up with the British supermarket chain Sainsbury's to unveil a very special competition which is giving British and Irish fans of "Teenage Mutant Ninja Turtles" and Nickelodeon UK and Ireland viewers the chance to win a very special prize - Martial Arts classes for yourself & a friend for a whole year! As part of the contest prize, you'll get to learn how to defend yourself from Martial Arts experts to be just like Leonardo & his fellow Ninjas. Teenage Mutant Ninja Turtles - Win martial arts classes for you and a friend [with Nickelodeon and Sainbury's]! Now you can train like one of the Turtles with a chance to win Martial Arts classes for you & a friend for a year!Learn how to defend yourself from Martial Arts experts to be just like Leonardo & his fellow Ninjas. For your chance to win and transform yourself into a Ninja, simply answer the question below. 1 x Martial arts classes for winner and friend for a year. Who is the leader of the Turtles? 1. The main Prize consists of two 12-month memberships entitling the winner and one friend to a maximum of one ninjitsu lesson (the Lesson(s)) per week each for the duration of the membership, subject to availability. 2. Each membership runs for 12 months from the date of the first Lesson. 3. The Lessons are only open to those aged between 6 and 16 years old at the Closing Date of this competition. 4. Equipment (including clothing) is not included in the Prize. 5. Travel to the Lessons or any other location is not included in the Prize. 6. Lessons are only available in the cities listed below. 7. The Closing Date of this competition is 17th May 2013 at 11am. 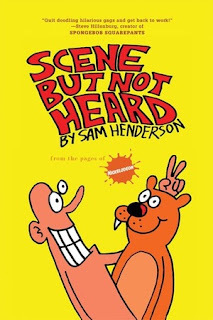 The American graphic novel and comic book publisher Alternative Comics has announced the exciting Nickelodeon Magazine news in the following Press Release, from Alternative Comics's official website, indyworld.com, that they will release a book featuring the complete collection of Sam Henderson's popular Nickelodeon Magazine comic strip "Scene But Not Heard" - which ran from the very first issue in 1993 until Nick Mag's final days in 2009 - in September 2013! Alternative Comics will publish the title, "Scene But Not Heard", in conjunction with Top Shelf. Long-associated artists Karl Stevens, James Kochalka and Sam Henderson scheduled for new books. Steven Cerio, Elaine M. Will and Kevin Scalzo added to the roster. Alternative Comics anthology relaunches. Cupertino, California; April 16, 2013 -- Alternative Comics, the independent comic book publisher operated from 1993 until 2008 by Jeff Mason, and since June 2012 by industry veteran Marc Arsenault, officially relaunches with a full publishing slate for 2013. Debuting in May is Karl Stevens' Failure, the follow-up to his 2011 book The Lodger — a Los Angeles Times Book Prize finalist. Failure was originally announced for a February 2013 release but was postponed and remade to accommodate for changes and additions to the book necessitated by the cancelation of the strip by The Boston Phoenix and the closing of the paper mere weeks later. Stevens will be promoting the book at numerous events, including the Stumptown Comics Fest and the Toronto Comics Arts Festival. Alternative Comics’ flagship anthology returns as a twice-yearly comic with more pages in June with the release of Alternative Comics #4. Alternative Comics—previously appearing as a Free Comic Book Day offering—showcases the best indie, web and zine artists of today's underground. Cover art by Mike Bertino (Trigger). Comics by Theo Ellsworth (The Understanding Monster) & Craig Thompson (Blankets, Habibi), Sam Alden (Eighth Grade), James Kochalka [...], Sam Henderson (Magic Whistle), Noah Van Sciver (The Hypo), Grant Snider (Incidental Comics), Alex Schubert (Blobby Boys), Andy Ristaino (Adventure Time), and Allison Cole (Never Ending Summer). The popular Inkstuds podcast launches a regular feature in the magazine with an interview with and comics by David Lasky. Alternative Comics #4 will debut at the Toronto Comics Arts Festival. Next in the lineup is a pair of books by beloved funny man Sam Henderson. In August, Sam celebrates the 20th anniversary of his Magic Whistle series with the release of Volume 2, number 13. The long running comic has returned to bi-annual status and will regularly feature guest contributors. This issue’s guests are Lizz Hickey and David Goldin. 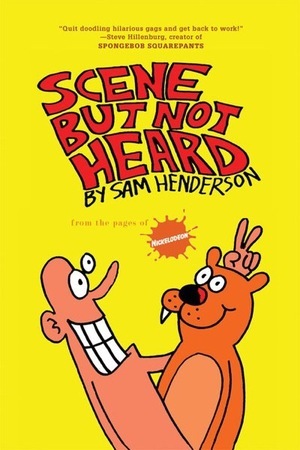 Appearing in September is the release of the complete collection of Sam’s popular Nickelodeon Magazine comic strip “Scene But Not Heard “— which ran from the debut issue in 1993 until its final days in 2009. Scene But Not Heard is Co-Published with Top Shelf Productions®. Sam will be appearing at the Small Press Expo (SPX) in Bethesda Maryland, and other events to promote the books. For many years Alternative Comics, Top Shelf Productions and Highwater Books supported the recipients of the Xeric Foundation grants by distributing the awarded books to the comic book direct market. The final Xeric grants were handed out in May 2012. One of the very last books to be released from that batch is Look Straight Ahead by Elaine M. Will; and it will be distributed through Alternative Comics. This is an astounding debut graphic novel from this young Canadian artist. DC Comics’ writer Gail Simone says of the book, “Look Straight Ahead is the comic I didn’t know I couldn’t live without”. Look Straight Ahead will be in shops in October, 2013. Elaine will be debuting the book at the Toronto Comics Arts Festival in May. In November, Eisner Award winner James Kockalka releases the complete Fancy Froglin strips—previously available only to online subscribers and partially issued by Alternative in 2003. This is the entire dirty work — Fancy Froglin Uncensored. Fancy Froglin is an ineffably cute happy little frog that [...] purely innocent. And he loves bunnies. Most important, he's really funny. Sure to please fans of Kochalka[...]. Coming in winter 2013/2014 from Alternative will be Alternative Comics #5, the Complete Sugar Booger by Kevin Scalzo and Sunbeam on the Astronaut by Steven Cerio. Further details to be announced. Alternative Comics is an independent publisher of creator-owned graphic novels and comic books based in Cupertino, California. The company was founded by Jeff Mason in Gainesville, Florida in 1993. Alternative Comics’ creators and books have been nominated for and won multiple comics and publishing industry awards. Alternative Comics’ publications are distributed by Diamond Comics Distributors, Inc. and Last Gasp. To celebrate Nickelodeon UK's animation and action channel, Nicktoons UK and Ireland, premiering and showing the brand new 26-episode CGI-animated science fiction–action series "Max Steel" every Saturday and Sunday at 8:00am, as part of "April on Nicktoons UK 2013", the official Nick UK and Eire website, Nick.co.uk, has unveiled their brand new official "Max Steel" show website to accompany the brand new animated show, which you can view here at nick.co.uk/shows/maxsteel! Nickelodeon UK's brand new "Max Steel" website features a "Meet The Characters" section featuring character bios and information about each Turbo character in "Max Steel" - Max, Steel, Cytro, Miles, Dredd, Toxzon and Extroyer - and a online short streaming video clip featuring a full episode of "Max Steel" (Episode 4 - Cleaning House)! Max Steel is an intelligent superhero with a wicked sense of humor. Maxwell McGrath is just an ordinary teen until he starts to generate Turbo Energy, an extraordinary super power that he has trouble controlling. Fortunately, he meets an alien life form named Steel. With Steel's help Max learns to harness his Turbo Energy and use his powers for good. In fact, Max actually works with his mom to save the planet from the forces of evil! Max Steel is one part high school sophomore and one part alien warrior. Once combined, Max and Steel become a wisecracking duo playing off one another's distinctive personality traits and quirks. Their comedic banter is always in good fun with a positive spin. Nickelodeon South East Asia Starts To Show "House Of Anubis" Season 3, "The Reawakening"
House of Anubis: "House of Arrivals: Reunion"
- Thursday 25th April 2013. Nick LatAm will show the brand new Nick sitcom in Spanish in Mexico, Columbia, Venezuela, Argentina & Chile and Nickelodeon Brazil will broadcast the show in Portuguese in Brazil. Nickelodeon has announced in the following Press Release, from PRNewswire, the Nick News that Nickelodeon USA, also known as Nick, will start to premiere and show the ninth season of their Emmy Award-winning original animated series (Nicktoon) "The Fairly OddParents", on Saturday, May 4, at 9:30 a.m. (ET/PT). Brand new episodes of "The Fairly OddParents" will then continue to air regularly on Saturdays at 9:30 a.m. (ET/PT) on Nickelodeon. The Fairly OddParents follows the magical adventures of 10-year-old Timmy Turner and his well-meaning fairy godparents who grant him wishes. After 12 years on the air, The Fairly OddParents continues to rank among the network's top programs and reached more than 20 million K2-11 in 1Q13. In the season nine premiere, "Turner & Pooch," Mr. Crocker realizes that Timmy's dog, Sparky, has magical powers. Eager to use the fairy dog's powers to fulfill his own wishes, Mr. Crocker hypnotizes Sparky in an attempt to turn him against Timmy. Nickelodeon has also announced the Nickelodeon News in the same press release that the exclusive never-before-seen "The Fairly OddParents" documentary, "The Making of Sparky: A DOG-umentary", is now available to download for free on Apple's iTunes store. Narrated by FOP creator Butch Hartman, the "dog-umentary" provides fans with an inside look at how the newest addition to this magical family, Sparky, went from just an idea to the loveable talking fairy dog on TV. 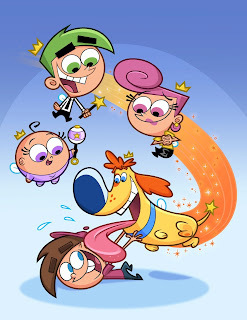 The "dog-umentary" and full episodes of "The Fairly OddParents" are available at http://bit.ly/11ihQx2. BURBANK, Calif., April 25, 2013 /PRNewswire/ -- Nickelodeon will premiere its ninth season of the Emmy Award-winning animated series, The Fairly OddParents, on Saturday, May 4, at 9:30 a.m. (ET/PT). The Fairly OddParents follows the magical adventures of 10-year-old Timmy Turner and his well-meaning fairy godparents who grant him wishes. After 12 years on the air, The Fairly OddParents continues to rank among the network's top programs and reached more than 20 million K2-11 in 1Q13. The Fairly OddParents will air regularly on Saturdays at 9:30 a.m. (ET/PT) on Nickelodeon. "The Fairly OddParents exemplifies what has made Nickelodeon a leader in animation - innovative, amazingly funny, creator-driven content," said Russell Hicks , President of Content Development and Production. "Kids have fallen in love with the magical world Butch Hartman has created and we are delighted to serve up a new season filled with fun and entertaining adventures for our audience." The Fairly OddParents follows the comedic adventures of Timmy Turner , a 10-year-old boy who overcomes typical kid obstacles with the help of his wand-wielding wish-granting fairy godparents, Cosmo and Wanda. These wishes fix problems that include everything from an aggravating babysitter to difficult homework assignments. With their eagerness to help Timmy, Cosmo and Wanda always succeed in messing things up. Now available for free on iTunes is the exclusive never-before-seen The Fairly OddParents documentary, The Making of Sparky: A DOG-umentary. Narrated by creator Butch Hartman , the "dog-umentary" provides fans with an inside look at how the newest addition to this magical family, Sparky, went from just an idea to the loveable talking fairy dog on TV. The "dog-umentary" and full episodes of The Fairly OddParents are available at http://bit.ly/11ihQx2 [direct link]. The Fairly OddParents is created and executive produced by Nickelodeon hit-maker Butch Hartman . The animated series cast includes Tara Strong (Ultimate Spider-Man) as Timmy Turner , Susanne Blakeslee (Shrek the Third) as Wanda, Daran Norris (T.U.F.F. Puppy) as Cosmo, Grey DeLisle (T.U.F.F. Puppy) as Vicky, Carlos Alazraqui (Happy Feet) as Mr. Crocker and Matt Taylor (South Park, Open Season) as Sparky. The series is produced at the Nickelodeon Animation Studios in Burbank, Calif.
Butch Hartman began his animation career as an assistant animator on An American Tail. He created his own shorts for What a Cartoon!, and also wrote and directed episodes of Dexter's Laboratory, Cow & Chicken and Johnny Bravo. Hartman joined Nickelodeon in 1998 where he created and produced several cartoon shorts for the Oh Yeah! Cartoons series, including The Fairly OddParents. Commemorating the 10th anniversary of the animated series, Hartman brought the series to life in the 2010 live-action/CG animated hit TV movie, A Fairly OddMovie: Grow Up, Timmy Turner! The series came to life once again with the 2012 holiday-themed sequel, A Fairly Odd Christmas, drawing 4.5 million total viewers. Hartman is also the creator of Nickelodeon's animated series Danny Phantom and T.U.F.F. Puppy. Nickelodeon, now in its 34th year, is the number-one entertainment brand for kids. It has built a diverse, global business by putting kids first in everything it does. The company includes television programming and production in the United States and around the world, plus consumer products, online, recreation, books and feature films. Nickelodeon's U.S. television network is seen in almost 100 million households and has been the number-one-rated basic cable network for 18 consecutive years. For more information or artwork, visit www.nickpress.com. Nickelodeon and all related titles, characters and logos are trademarks of Viacom Inc. (NASDAQ: VIA, VIAB). Follow NickALive! on Twitter, Tumblr, Google+, and/or Facebook for the latest Nickelodeon and The Fairly OddParents News! The children's entertainment and media news website Kidscreen is reporting the Nickelodeon News that Viacom International Media Networks Asia has formed a strategic alliance with the Thai state-owned public broadcaster MCOT to launch a Nickelodeon branded programming block in Thailand! MCOT will launch the Nickelodeon programming block on the networks state-owned free-to-air (FTA) Modernine TV channel on Saturday 22nd June 2013. MTV Thailand is heading to more than 10 million homes in the region following a strategic alliance between Viacom International Media Networks (VIMN) Asia, local content provider appleTool and MCOT. The latter will also air a Nickelodeon-branded block on its Modernine channel. The companies will collaborate on production, licensing, distribution and live events related to the new MTV Thailand channel, which will officially kick off on May 1 and will be distributed on C-band satellite and on Ku-band satellite, making it the widest distributed global channel in the country. Plans for MTV Thailand include local productions, on-ground events and an enhanced range of programs specially localized for the Thai youth market, including the MTV VJ Hunt for Thailand. The selected MTV VJs will become the extension of the brand’s personality in the country. Other MTV plans in the works include a move toward digitization. The Nickelodeon branded block will air on MCOT’s Modernine channel starting June 22. Robert Bakish, SEAS ’85, Business ’89, and president and chief executive officer of Viacom International Media Networks, will deliver the keynote address at the School of Engineering and Applied Science Class Day ceremony. The annual event, which honors seniors graduating from both the undergraduate school and engineering graduate programs, will take place May 20. Bakish, who majored in operations research in SEAS before earning his MBA from the Business School in 1989, was named president and chief executive officer of Viacom International Media Networks in January 2011. At Viacom, he is responsible for all media networks and associated businesses outside the United States, including MTV, Nickelodeon, Comedy Central, BET, Paramount Channel, and VIVA. He also oversees Viacom’s U.S. Hispanic service Tr3s: MTV, Música y Más, as well as Viacom’s international TV-related ventures in India, Korea, the U.K., Australia, and Italy. The SEAS senior class council, representing undergraduates, and the SEAS Graduate Student Council, representing MS, PhD, and professional degree students, worked together to select Bakish as their graduation speaker for 2013. Prior to his Viacom appointment, Bakish was president of MTV Networks International, running MTVN’s operations outside the U.S. He has also served as executive vice president for operations and Viacom Enterprises, as executive vice president and chief operating officer of MTVN Advertising Sales, and as Chairman of the Cable Television Advertising Bureau. Prior to that, he was senior vice president, planning, development and technology, for Viacom. Before joining Viacom, Bakish was a partner with Booz Allen & Hamilton in its media and entertainment practice. Goldfarb said Bakish’s diverse experience makes him exactly the type of speaker SEAS was looking for to inspire its students. “Bob’s impressive career path in media and business exemplifies the versatility of a Columbia Engineering education, and his ties to the School send a positive and uplifting message to our future leaders in engineering and applied science as they set out on their own paths to success,” Goldfarb said. Correction: Due to an editing error, an earlier version of this story's headline identified Bakish as the CEO of Viacom, although the story correctly described him as the CEO of Viacom International Media Networks. Spectator regrets the error. NickToons UK Unveils Brand New Rebrand!